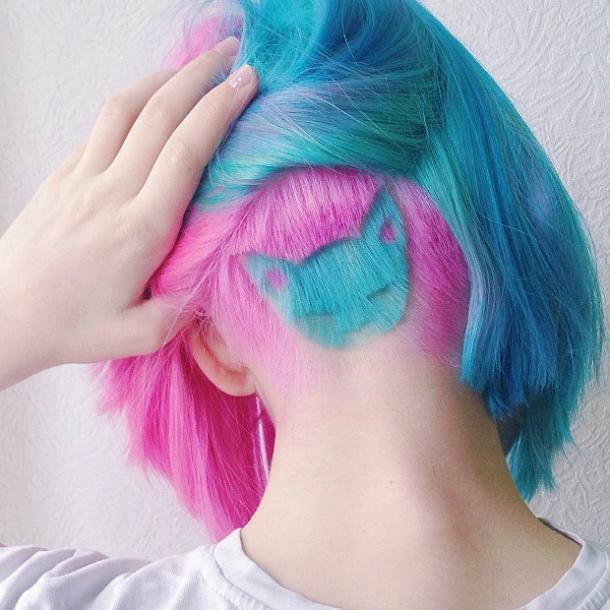 A woman named Katchika from Russia posted a photo on Instagram of her bright pink and blue-dyed hair with a hidden secret. Underneath that colorful mass is a fine undercut of a blue cat. According to Mashable, this style of "hair tattoos" isn't a "new" trend as everyone believes. These hair designs are already staple to black barbershops, a cultural art form, and their popularity grew in momentum due to social media. Like art, it's definitely something we can appreciate, enjoy and celebrate.